Last time out in Liverpool he played the Cavern, on Saturday October 18, it’s the Echo Arena, Getintothis’ Joel Richards reports. 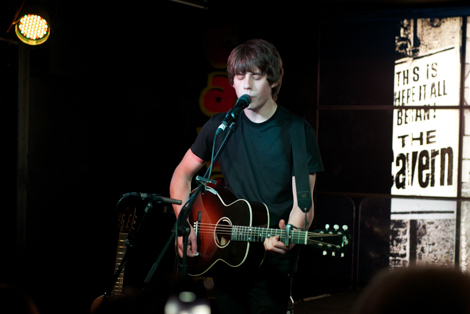 At the tender age of 20, Jake Bugg has already achieved what most males his age can only dream of. A debut album hitting top spot in the charts (which then went on to sell over a million copies worldwide), a clutch of award nominations including two Brit Awards in successive years, as well as headline slots at some of the UK’s biggest festivals. Not bad for a working-class kid from the city of Nottingham. It’s little wonder then that his style has appealed to music lovers, especially when he lists: Don McLean, Donovan, The Beatles, Oasis, Jimi Hendrix, Johnny Cash, Neil Young, and Nick Drake among his influences. 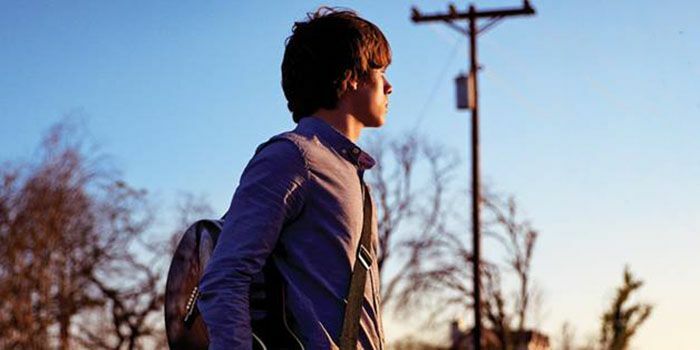 That mixed with the raw sound which displays his council estate upbringing is a perfect recipe that would go down well with any lending ear that happened to come across Bugg’s talents. If ever there was a city that could relate to Bugg’s tales then it is surely Liverpool. Having played a secret gig at the legendary Cavern Club last year, the Echo Arena presents a different challenge but one he relishes. Currently in the middle of an 11-date UK tour, momentum is clearly with the young man whose star appears to show no sign of burning out too soon. 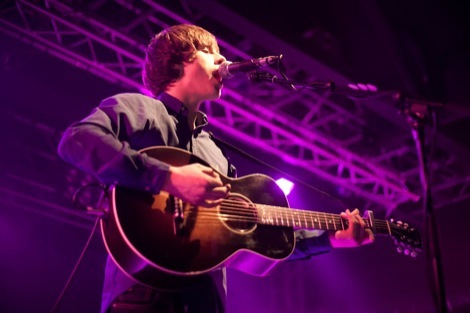 Meanwhile Bugg has teamed up with The National Foundation for Youth Music to offer of two tickets to each gig on his current tour for a competition being run by the charity. Winners will also get an exciting ‘money can’t buy’ experience with an opportunity to attend Jake’s private soundcheck before each performance. Bugg has donated tickets in support of Youth Music’s Give a Gig fundraising campaign, which aims to encourage music fans, artists, promoters and venue owners to either put on a gig for the charity, or donate a portion of gig proceeds, to support its work with children and young people facing challenging circumstances such as living in poverty, rural isolation or with disabilities. The charity supports almost 400 music projects around the country providing music-making opportunities for over 90,000 children every year. Those wishing to enter the competition can complete the entry form at www.giveagig.org.uk.